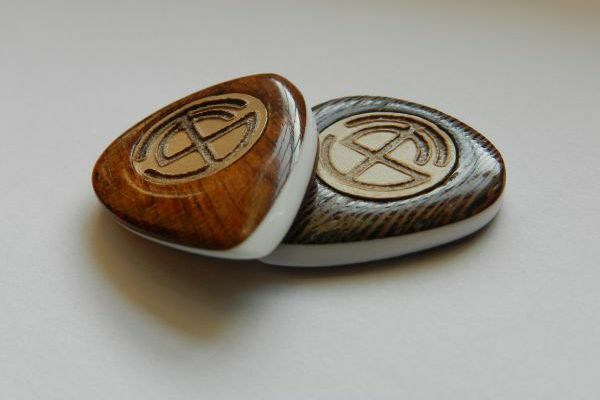 Plectrum handmade with 3 levels, wood-plexiglass-wood .. in different types of wood for a "double action" sound with the contact of the two materials on the strings. With grip skin. For right and left players.